Natural (-10 °C) and artificial (-269 °C) cooling: the international review panel in action last week. The fact that inside a fusion device it gets hotter than in the core of the sun leaves Hans Quack pretty cold. "Fusion is in fact 40 percent cryogenics," he says, and—being a professor for refrigeration and cryogenics at the University of Dresden—he knows. At JET, cryogenics was already used for the vacuum cryopanels and for the handling of the fuel. The next step—using cryogenic refrigeration for the superconducting magnets—was pioneered at EAST, KSTAR and Wendelstein. But the ITER cryogenic system is an order of magnitude larger and much more complex than what has been built before, and is only comparable to the cryogenic system of the LHC at CERN. The ITER machine will rely on a cryoplant, which will produce the required cooling power, and a cryo-distribution system to distribute the helium coolant to ITER's high-field magnets, cryopumps and thermal shields. "Cryolines will be crossing into the reactor," says Hans Quack "a situation that you don't have in a fission device." This complex and sophisticated system of cryogenic transfer lines and manifolds was the subject of discussion at the ITER Headquarters last week during the conceptual design review of ITER's cryolines that was chaired by Hans Quack, and that brought together many international experts. 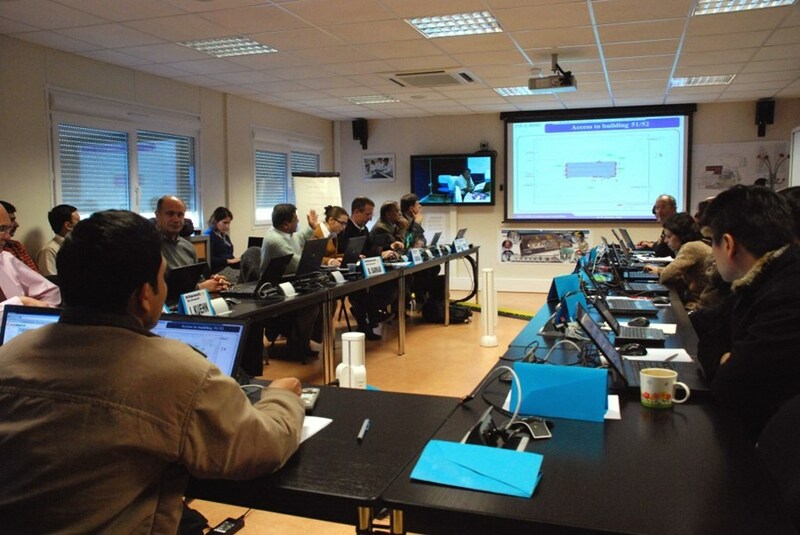 "The very good level of preparation was recognized by the reviewers," said Luigi Serio, Responsible Officer for ITER's cryosystem, summarizing the review. "We are now sure that we have a robust design and that we can proceed with procurement of the cryolines for ITER." The Procurement Arrangement is expected to be signed at the end of this month.